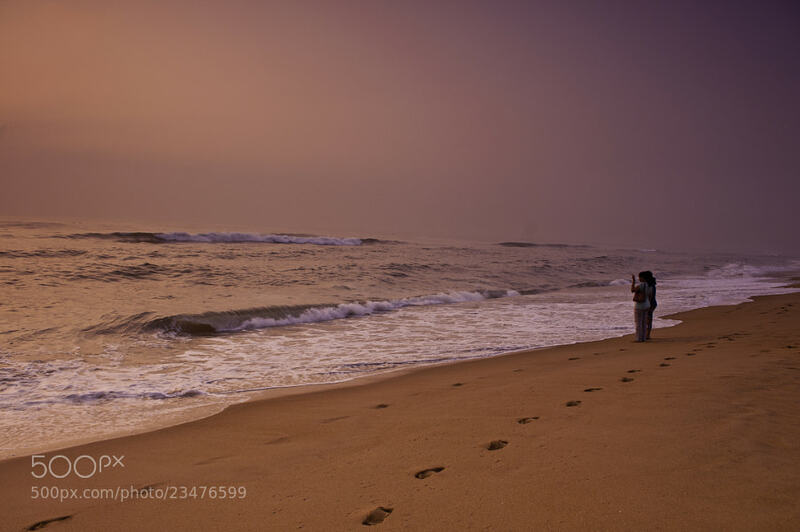 Recently I was out shooting the sun rise at beautiful Elliots Beach, Chennai. The sunrise was beautiful as it always. While I was photographing the sunrise there were people who were going for their morning walk who kept intruding my frame. 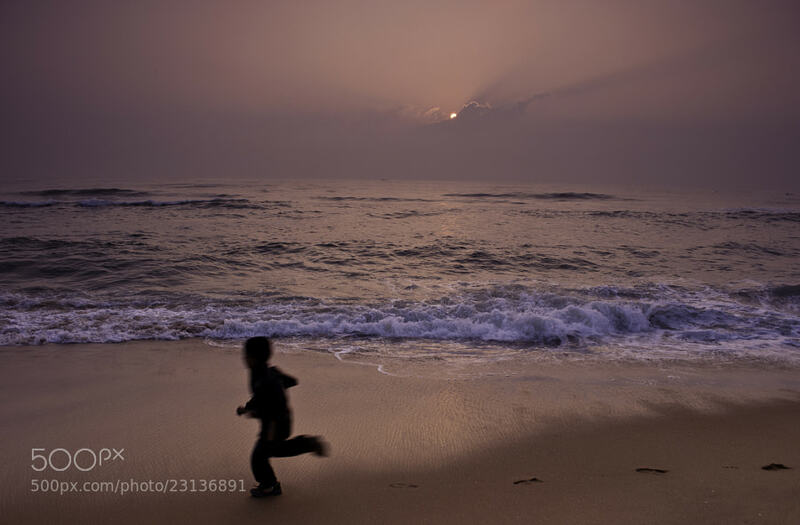 After I got tired of the same image I looked over and saw a child running towards me. I quickly framed my shot and waited for him to compete the picture. The moment he reached the bottom thirds I took the photo. The slight slow shutter speed was a happy accident. I think it adds to the image. For this image I used a FLW filter and a graduated ND filter. I modified the white balance to exaggerate the colours a bit.